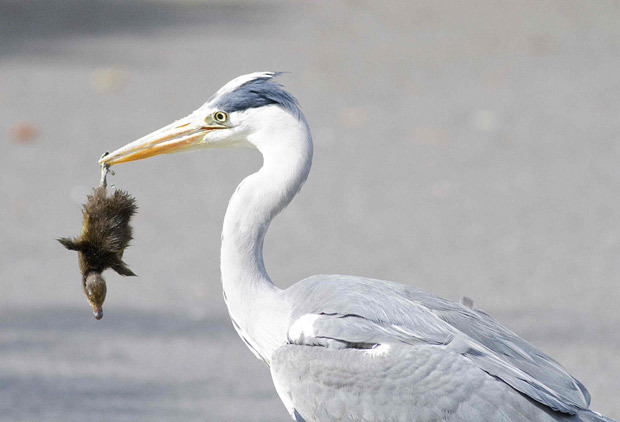 Check out this picture of a Cheeky Grey Heron snacking on some juicy wee baby ducklings, freshly snatched from in front of their terrified mother duck! The heron just went right up to the family below as they were getting what appears to be a family portrait taken at the local pond. 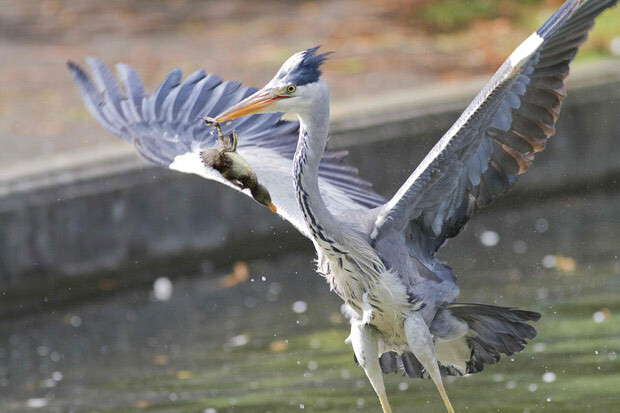 The Great Grey Heron then proceeded to taunt the fast diminishing duck family by swinging the duck from it's bill. It was definitely not a When Harry Met Sally Moment. 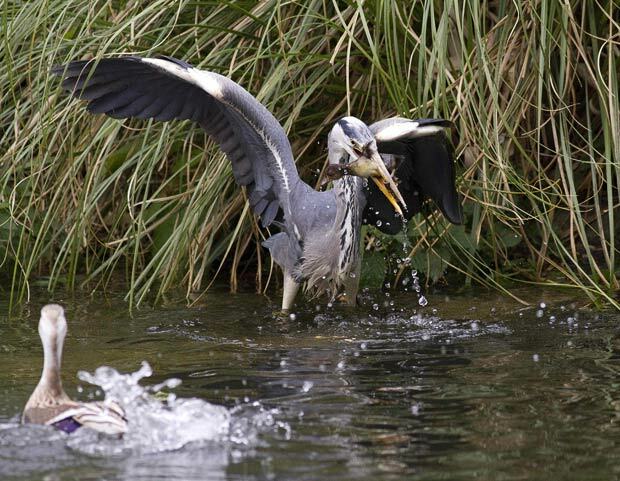 The defeat of the not so mighty ducks was snapped by duck lover Paul Hughes. 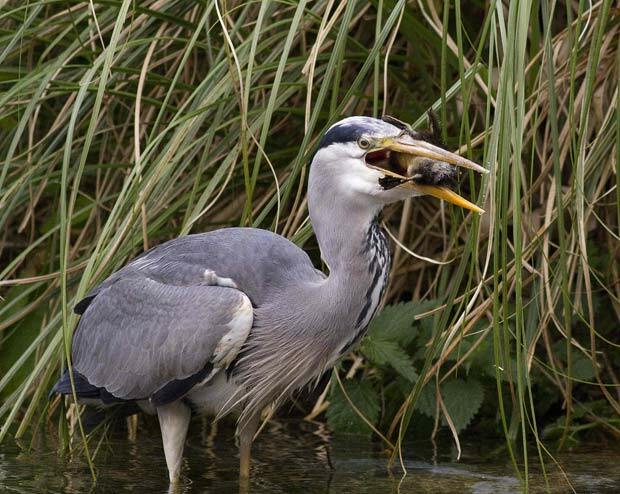 "The first sign of the heron was the pandemonium it caused on the lake," explained Paul. 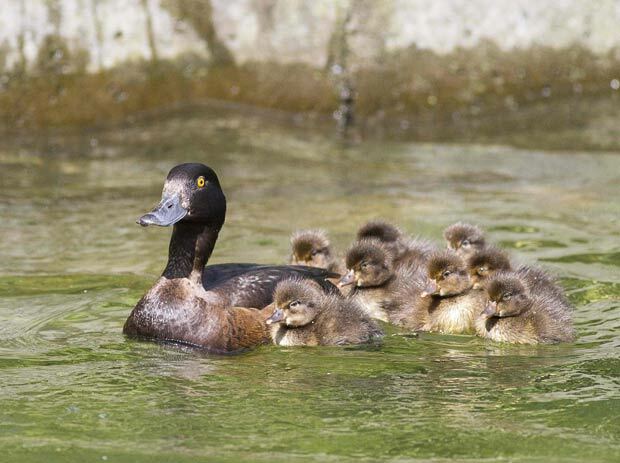 "It swooped over the length of the lake and all the ducks started quaking loudly in alarm..."
You'd need a homebrew made with finings after that I reckon!